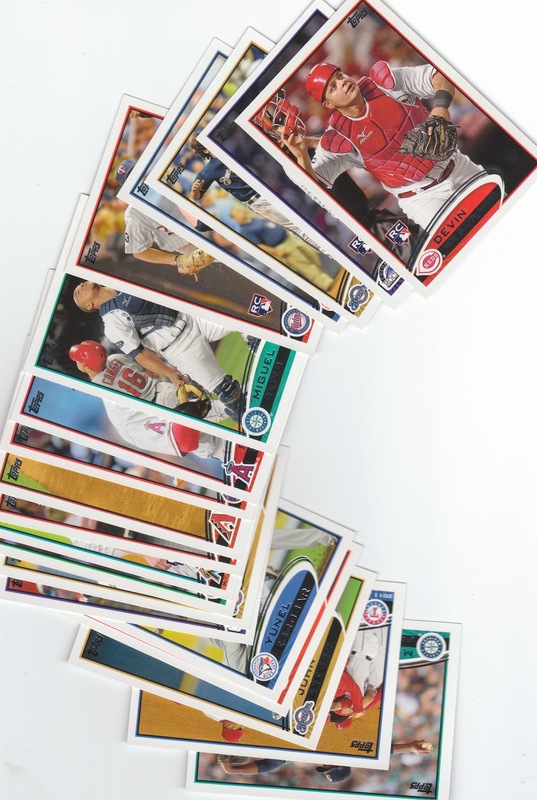 First up, a Group Break package from Nachos Grande. He busted a bunch of boxes for his latest break and I grabbed the Astros and got the Marlins as my second randomized team. 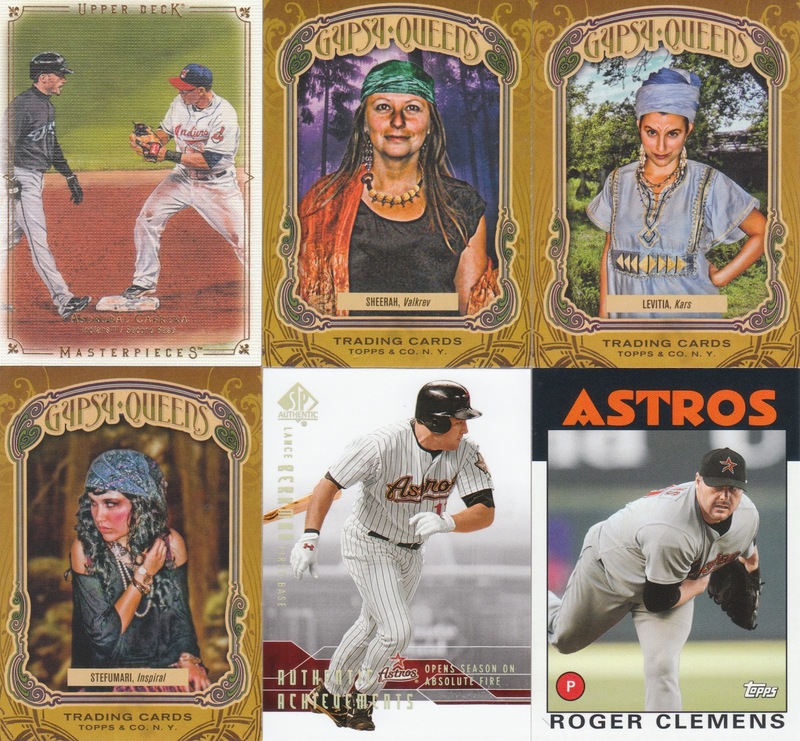 Well, I think everyone in the break basically subsidized the Yankees as they scored HUGE in this particular break, but I still got some cool cards from sets that came out while I wasn't collecting. Most importantly I added 10 cards to my Biggio and Bagwell collection and also got a hit! He also included this card, which I had never seen ANYTHING like it before... it's actually metal!!!! It's freakin' cool.. it came with a protective cover and I quickly peeled that off!!! 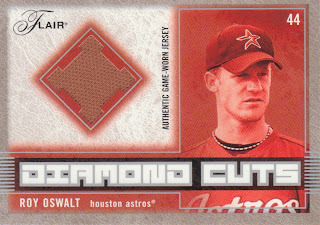 I may have to look into this set for a group break! 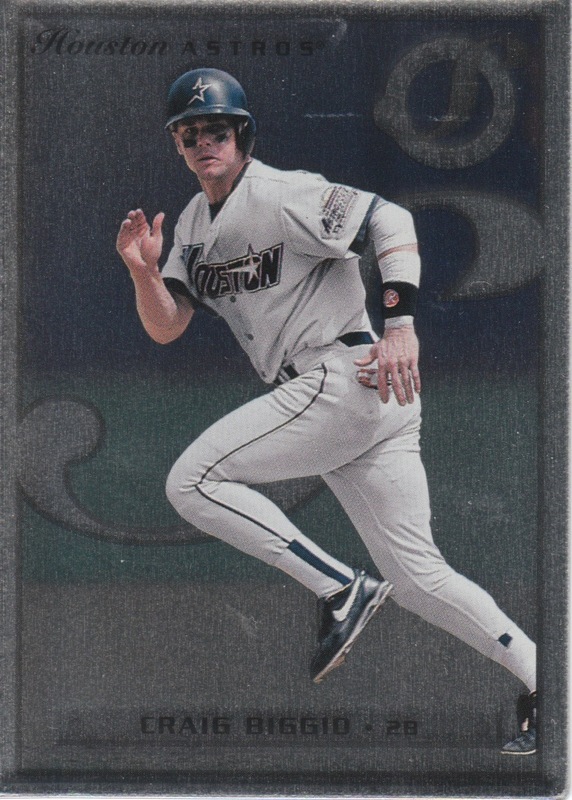 It doesn't scan all that well, but it's a sweet looking card, 1996 Leaf Steel. 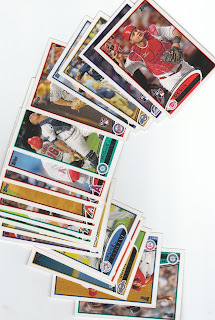 Next up is a random act of kindness... Scott from Smeds Baseballcard Blog sent over a healthy stack of 2012 Topps Series 1 from my want list! 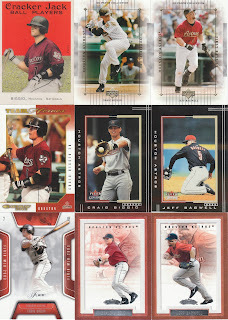 If any of you know Scott, you know how generous he can be with his base cards! THANKS! Finally, we have Oscar from All Trade Bait. We worked on one trade that just didn't come together, but then he posted some trade bait and we worked out a different deal for a card I knew I (and my wife of course) just had to have!!! That's as big as blogger will allow me to expand it... AWESOME card! Thanks Oscar!!!! you're very welcome. i'm glad marilyn found a good home and your wife is happy too. cool. You just need a Joe DiMaggio card now! 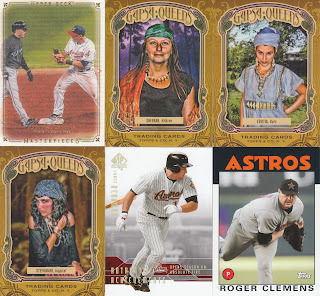 What set is that 1986 Topps Clemens from? That looks cool and I might have to track that set down if the rest are like that.